Ubud is a cultural hub, famous for its arts and craft, and is situated in central Bali, Indonesia, also has workshops of various artists and several galleries. Ubud in fact consists of 12 villages, and each village is run by local village committees. Ubud dates back to the eighth century, when at that time was centre for natural medicine and curing, and that is how the name Ubud was taken , Ubad is the Balinese word for medicine. For the next 400 years temples and monasteries were established, and the temple complex at Gunung Kawi and the cave temples at Goa Gajah are from this period. Even the dance and drama from that period is still performed in Ubud today. In the year 1900, Ubud became a Dutch province , but the colonialists did not interfere with the conventional arts and culture, and they were encouraged by the Royal Families to show their presence in the town, and were involved in promoting and of understanding of Balinese art and culture and taking it to the world, and developed into a high profile international place to visit. Ubud is situated 200m above sea level, it has a fairly cool temperature, but a noon it becomes very hot, and the humidity is quite high. It is always better to see places in Ubud by moving outdoor early in the morning to avoid the heat. In the months of January and February Ubud has very heavy rainfall. Central Ubud is usually congested with people and heavy traffic, of tricycles and trucks, and mainly in the afternoons when the tourists arrive in buses. To see the major attractions in Ubud, you should come here for holidays at least for a week, to see the sights properly. The main historical sites are located out of the town area, and some of them as far as 20km, but advisable to visit these places. When you do visit attractions such as Goa Gajah, Gunung Kawi, Pura Kehen, and Tirta Empul, always ask a knowledgeable guide to accompany you to enjoy these beautiful places, and learn about their cultural and spiritual importance. Take a tour on a cycle through the Bamboo forests, and the coffee plantations, and take the traditional Penglipuran village breakfast overlooking Batur Mountain and lake and have your lunch in the centre of paddy fields in restaurant. You can also take a cycle ride through the serene surrounding, and tranquil pathways leading downhill to villages, and different landscapes of Bali, and also visit the local craftsmen doing their daily work. The temple is the most famous sight, and this structure dates back to the 11th century and has enchanting stone carvings. 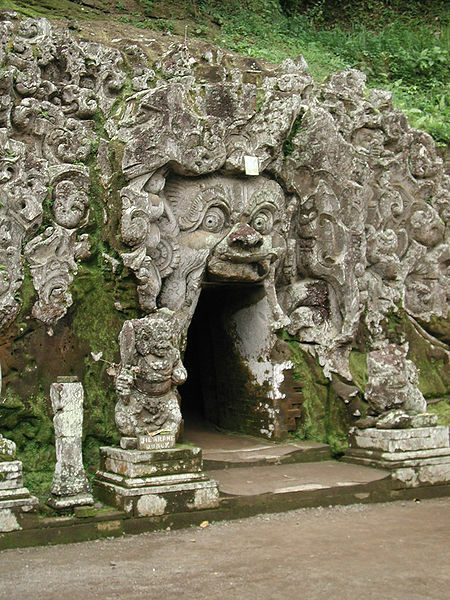 This Goa Gajah cave dates back to the ninth century, the entrance is ornately carved demon mouth, and inside the cave are lingam and yoni statues, as well as a statue of Lord Ganesha. Dates back from the eleventh century, and is the burial ground complex of King Anak Wungsu and his numerous wives. This ancient structure can be reached by going down 371 steps. Ubud is centre of Arts, and has 65 various game plan dance shows, puppet shows, and special temple ceremonies. There are plenty of spas to choose from to relax yourself.